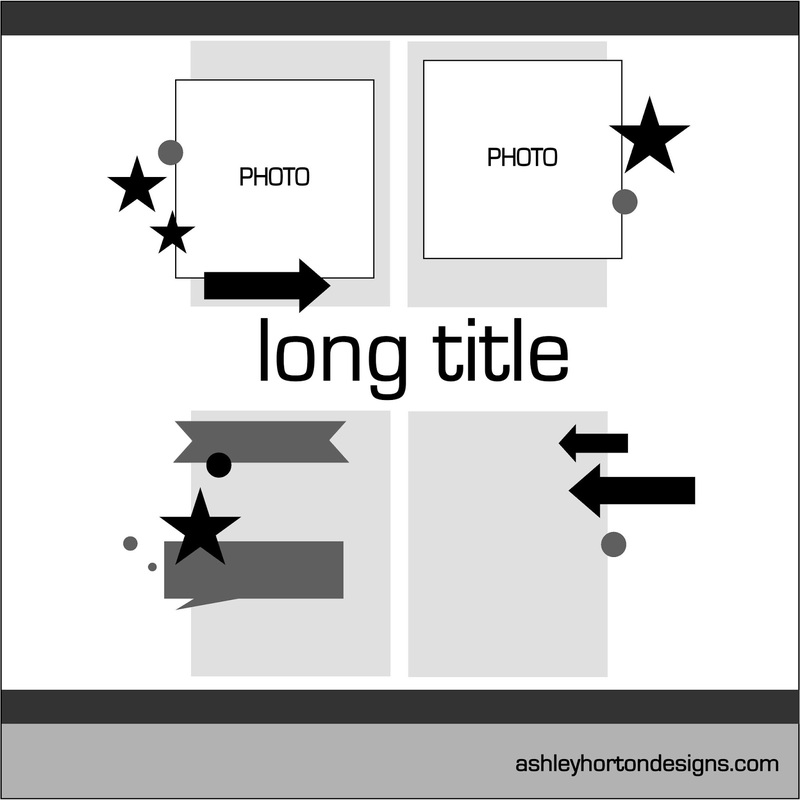 The Echo Park mini theme collections are perfect for creating fast, fun layouts! 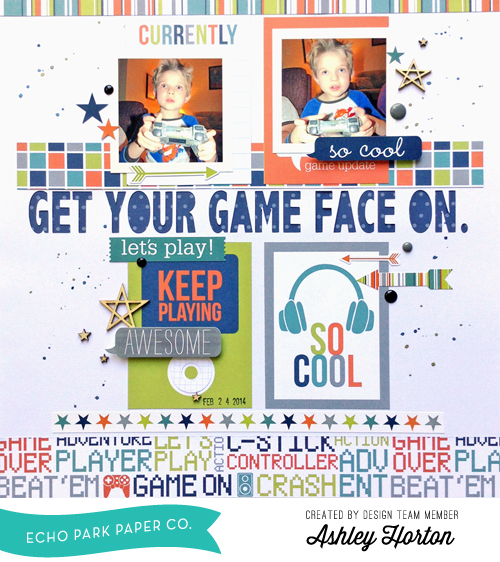 Each mini theme collection includes 6 double sided patterned papers and a sticker sheet. You can add in embellishments from your stash, to put together a quick and easy layout, like I did with the Game On mini theme! I put my layout together using the Journaling Cards patterned paper from the Game On mini theme collection. 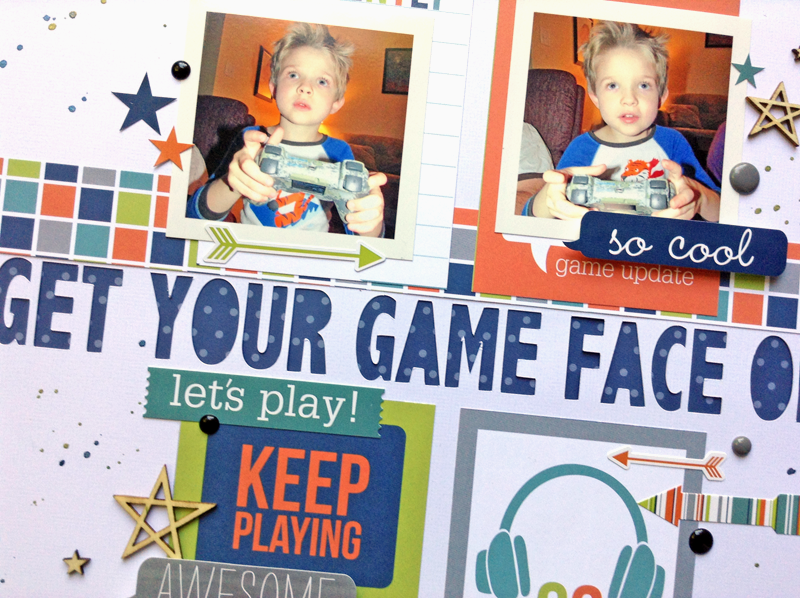 Cut four of the cards to create a grid on your layout, and use your electronic die cut machine or Alpha Stickers to add your title across the center of the layout. 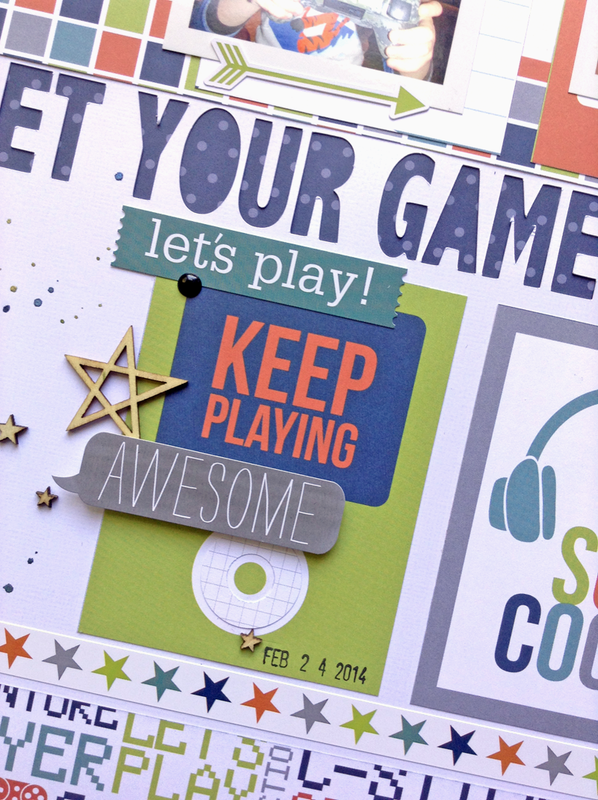 Then you can complete your page by embellishing with wood veneers and enamel dots, and adding a touch of spray mist! I also created a Sketch for this layout, if you would like to use it for future pages! Make sure you check out the Echo Park Blog to get a look at all of the Mini Theme Collections, and all of the new full collections that are available!